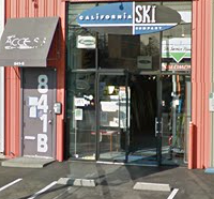 California Ski Company in Berkeley, California is the Bay Area’s only specialty ski shop focused on ski equipment sale and rental since 1989. We sell and rent equipment for both Alpine and Ski Touring. Our team of expert ski boot fitters are the best in the business. We repair and tune about anything that slides on snow. The most knowledgeable and highly trained staff in the Bay Area is dedicated to assisting you; our mission is to ensure your skiing satisfaction! We work hard to satisfy your ski equipment sale and rental needs. Every enjoyable ski experience starts with the right equipment, whether you’re droppin’ the Palisades, skiing Shasta, or simply looking for the best skis to help you get to the next level. There are few “bad” modern skis, but there can be bad matches between ski and skier. Do you want a ski that will accelerate your technical development? Or do you simply wish to make what you already do easier and more fun? Whatever your needs or wants, we help you find the perfect ski equipment package. Ski boots are even more important than skis. Boots form 100% of the connection between skier and ski; they are the control link between skier, skis and snow. Your skiing enjoyment starts with happy feet. A proper ski boot fitting is essential for your skiing enjoyment. We specialize in custom ski boot fitting and orthotics to assure not only perfect fit, but also ultimate performance, tailored to your specific needs. Our Master boot fitters and expert staff have over a century and a half of combined experience and will help you find the perfect fit. 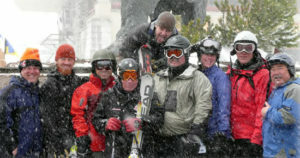 Come meet the experts who ski the equipment they sell and rent! We are located at 843-A Gilman Street, Berkeley CA 94710. Click here for directions and a map. You can also find us on Facebook, Instagram, and Twitter. We are a Berkeley California based business specializing in everything related to skiing. With more than century and a half of collective experience, we can help you find the perfect gear setup. We offer custom boot fitting, tuning and maintenance, the latest in ski equipment and apparel, demo skis and rentals, and more; all accompanied with expert advice and friendly service. Give us a call, or come visit the shop, and allow us to serve your skiing needs. We are conveniently located just blocks from Interstate 80 in Berkeley. Take the Gilman Street Exit. Head East. We’re just a few blocks up on the left-hand side between 6th & 7th Streets in the Berkeley Sports Mall. Welcome to the California Ski Company website. We are happy you stopped by and hope you find the information you’ve been seeking. If you don’t see what you’ve come to find please contact us directly or come by the shop. We are currently tweaking our content to provide you with the best possible browsing experience. We are always looking for ways to improve our site and streamline the way we provide you with current information. If you have suggestions, please fill out our contact form and let us know what you’re thinking. Click here to go to the Contact page. You can find directions to the store, hours of operation, and our phone number on our Directions page. Just click here for to go to our Directions page.